Back in 2014 I did a post entitled, A Show of Hands which celebrated the variety of ways in which accomplished illustrators have tackled the thorny issue of rendering hands. Today I'd like to share a painting by Carter Goodrich which shows an absolutely masterful use of hands to convey story. In this image, Santa has ruined Christmas. But while Santa's predicament and the confusion of the reindeer is the central driving theme of the image, the true narrative genius of this image is found in the four hands coming out of the gridlocked cars. Each hand tells a unique story and even without the viewer seeing the owner of the hand we can tell volumes about this person's character. We have met this person, we have done business with this person, and in some cases, we are this person! Goodrich captures each of their stories with just a single hand and minimal fuss. An interesting addition here is that Santa's hands and the hooves of the reindeer are comparatively reserved, even simplified. A stark contrast to the tortured poses of the hands of the four drivers. 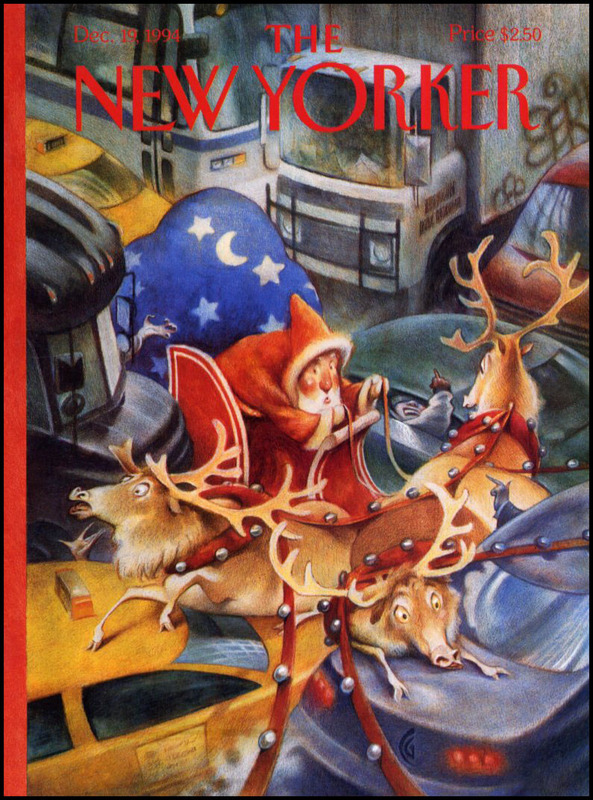 In this artist's opinion, this simplification is because Santa and the reindeer's stories are already told through their faces and bodies. No need to belabor it or overdo it. Their hands are only meant to support the story, while the hands of the other motorists are all we have to go by for their stories. Goodrich distills everything about these motorists down to its most critical essence and conveys that on a tiny postage stamp's worth of space. So as you create your images and tell your visual stories, remember: Hands have power! They have the ability to convey just as much meaning as a whole figure.